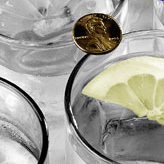 For 1 cent you can fill more than five, one-gallon jugs with water from your tap. 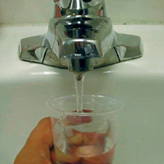 Up to 100 tests a day are performed on your drinking water. 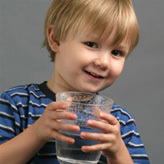 Tap water is safe, convenient and affordable. Valley cities, Central Arizona Project (CAP) and Salt River Project (SRP) have teamed with the AZ Water Association to educate citizens about their tap water. This "Tap Into Quality" site is a public education campaign designed to keep citizens informed about the quality of their tap water. Tap Into Quality is a public education campaign supported by Valley cities, Central Arizona Project, SRP and AZ Water Association aimed at increasing awareness about the safety, convenience and affordability of the region's tap water.